How a mother's awareness rescued her family from malaria's clutches. 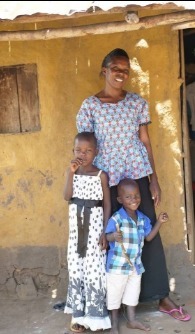 Fatuma is the proud mother of two children: her son, Johnson, and her daughter, Kevin. The family lives in Uganda in the Mayuge District, an area near Lake Victoria. Fatuma’s community, along with many others nestled on the banks of Africa’s largest lake, is at high risk for malaria as the hot and moist climate is the perfect breeding ground for the female, malaria-transmitting Anopheles mosquito. Early one morning, Fatuma woke up feeling unwell and noticed that her son was also showing signs of sickness. 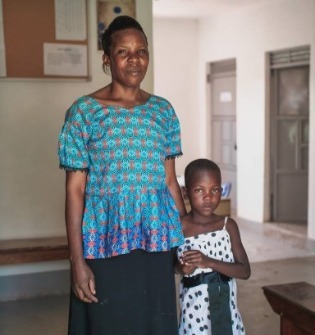 She quickly gathered her son and walked to the nearby Young Living Foundation Malaria Center, which is operated by one of our amazing partner organizations, Healing Faith Uganda. Once the mother and son arrived at the treatment center, they were tested for malaria and both tested positive. After receiving treatment and education on malaria, Fatuma returned home with Johnson, both full of hope knowing they would survive this potentially fatal disease. Upon returning home, Fatuma noticed that her daughter, Kevin, was experiencing the same symptoms. Just a few hours later, Fatuma and Johnson returned, this time with Kevin in tow. Sure enough, Kevin was diagnosed with malaria, thanks to her mother’s keen attention to detail, and she was able to get the remedy she needed. Finally, the entire family was able to return home with the proper medication and equipped with the power of knowledge on malaria prevention methods. Fatuma and her family were lucky because they live very close to a malaria treatment center. Others are not as lucky, as malaria claims hundreds of thousands of lives each year, over 50 percent of which are children under the age of 5. Moreover, treating and preventing malaria is extremely inexpensive! To test and treat a child for malaria. Delivers a mosquito net to a family that can protect up to 4 children at night. Provides a patient with full comprehensive care, including testing, treatment, a mosquito net, follow up care, and education. Once educated, people can return to their homes and equip their family and others in their communities with life-saving knowledge. If you would like to contribute to our mission of ending malaria in Uganda by donating, please click the link below!